The Archbishop of Canterbury’s the latest to weigh in on the debate. Good old Justin has come out to say boys wearing dresses to school ‘is not a problem.’ It’s solidarity, perhaps. Justin himself wears a dress to work, as do many other vicars and members of the clergy. Some people may call them cassocks or robes but fundamentally they are fairly dress-like – long skirts which fall to around the ankle, lots of billowing folds, often perked up with cheerful colours. Golds and reds. That sort of thing. Lovely. I think I saw similar on the Milan catwalk last week. Anyway, a quick recap for any of you who have somehow missed the recent ‘boy in a dress’ furore. (Do not get this confused with The Boy In The Striped Pyjamas, that is a sad film about World War Two.) A couple called the Rowes have taken their two sons out of school on the Isle of Wight because other boys had started coming to school wearing dresses. The Rowes, an apparently Christian couple, think boys in dresses are bad. They think boys in dresses are ‘not biblical’, even though from what I can remember from my own Scripture lessons at school, Jesus himself wasn’t averse to a flowing robe. In fact, so cross are the Rowes that they’re not just taking their sons out of the school, they’re mounting a legal challenge to try and force the boys in dresses back into trousers. Or into whatever item of clothing the Rowes approve of. Are trousers alright, Mr and Mrs Rowe? Did they feature much in Genesis? And even though there are lots of things we should all be worrying about at the moment – impending nuclear war, Myanmar, whether we’ll still be discussing fishing quotas in 2076 – the boy in a dress discussion has set the nation alight. Some people agree with the Rowes, that somehow a boy in a dress is a threat to civilisation; other people think that if a boy comes to school in a dress the sky probably won’t fall in. The latter camp now not only boasts the Archbishop of Canterbury but also the Transformers actress Megan Fox, whose small son Noah (look, Mr and Mrs Rowe, a biblical name!) wears dresses. Maybe they could get together and discuss the matter over a glass of sherry? The thing that everyone seems to have forgotten is that it’s actually very grand for boys to wear dresses. In the olden days, the poshest people were at it. Just go to the National Portrait Gallery where you’ll see a painting of a young Charles II smothered in a silk dress with a small spaniel sitting on his lap. Elsewhere, there’s a 1633 Velazquez painting of one of Philip IV of Spain’s sons wearing a velvety and voluminous dress that I quite wish I had in my own cupboard. 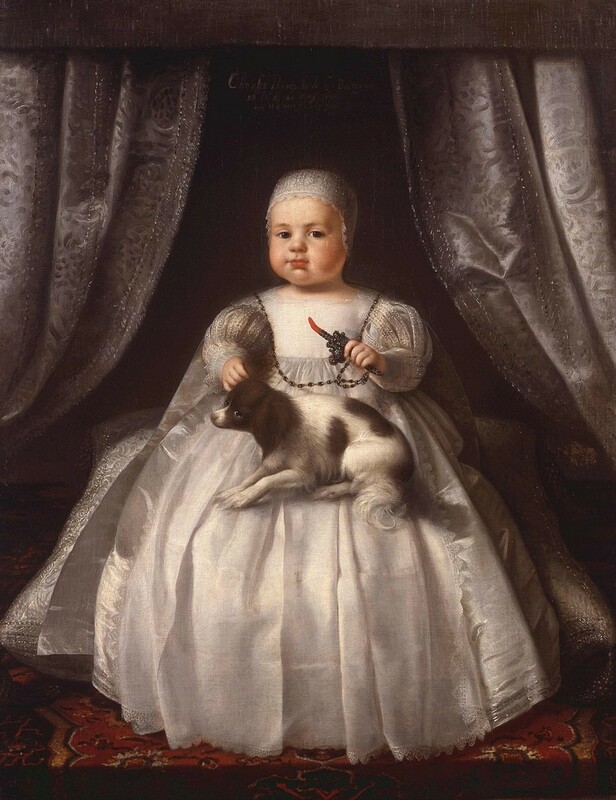 In another charming 17th-century portrait, Louis XIII’s son looks absolutely nonplussed in a long silk number. Back then, boys wore dresses for much of their childhood (we haven’t got time to go into the reasons here but google ‘breeching’), and no-one screamed at them that they weren’t biblical. It’s incredibly Hyacinth Bucket to worry about whether or not your six-year-old son – or anyone else’s six-year-old son – wants to wear a nice frock given that monarchs and the aristocracy all used to be at it. And where does this stop – should small girls be banned from wearing trousers? Should they only wear in smocked dresses with little bonnets? It all sounds suspiciously Handmaid’s Tale to me. I know six-year-olds can be trouble. I know sometimes they don’t want to get changed at all – dress or no dress – and you need to have a firm word with them and threaten to take away iPad privileges if they don’t buck up their ideas. But if they want to wear a dress in the manner of a youthful Charles II, and if that’s the worst thing you can imagine, so dreadful you’re appointing lawyers to try and stop it, then, well, sorry, but you need to get out more.